Soft sound for a fair price! 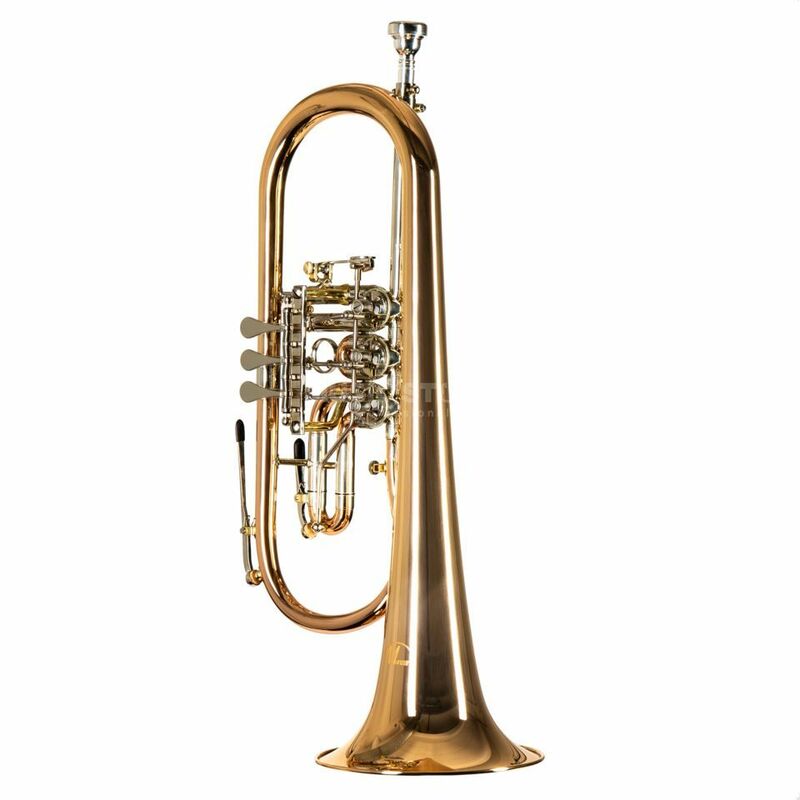 The MONZANI MZFH-1050L Bb-Flugel Horn does not only convince with a balanced and soft sound. The attack point is very easy what supports especially beginner during their first steps. The mechanic is easy running and supports to learn the technic. The mouthpipe of the MZFH-1050L is made out of robust nickel silver and cares for a long lasting enjoyment of playing. At the third valve you can find a trigger for a better intonation. Included are a case and a mouthpiece.